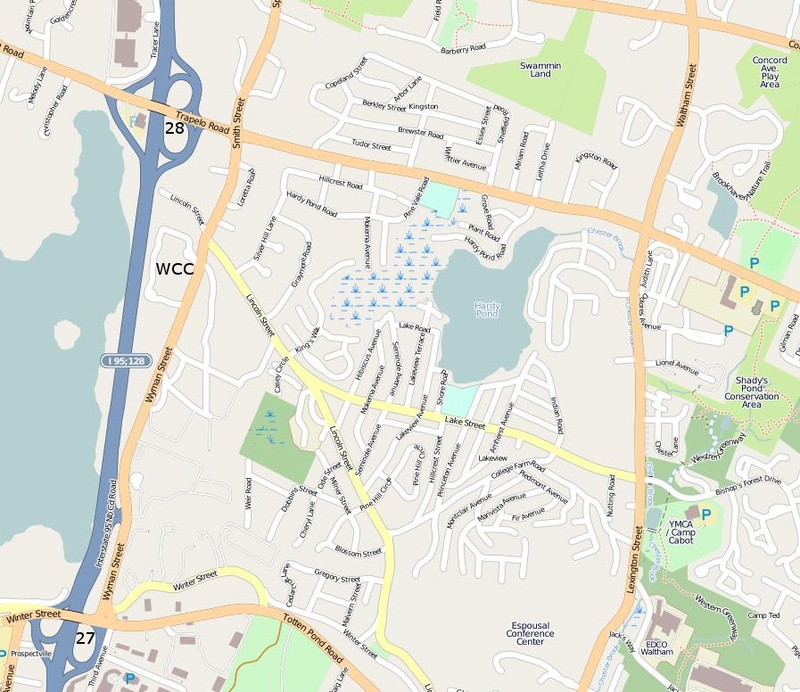 Here’s how to get to the Waltham Chess Club via Route 128 (I-95). Exit 27B is labeled “27”, and exit 28A “28” in the map below. Take I-95 (Route 128) north to exit 27B (Winter St. - Wyman Street exit). Turn left at the stop light. About two-thirds of the way up the second hill, you will see an entrance on your left for 404 Wyman Street North (IBM). From the north, take I-95 (Route 128) south to exit 28A (Trapelo Rd.). Turn left at the top of the ramp and pass over I-95. At the first light, turn right onto Smith Street, which becomes Wyman Street. Look for 404 Wyman Street North (IBM) on your right. Enter, park in the free, covered garage, and go in through the front door. Security personnel are on duty, so please sign the visitors’ log.